Gift cards is widely sold item on popular stores as it allows people to gift money in terms of cash credit to someone and let them buy stuff of their choice. It helps you to make encouragement for your customers to offer the gift cards and helps to increase the customers and sales. Gift cards are like eWallet money sent to someone you like to gift something. That person will en-cash the card value and can purchase something from that store. You must have seen such gift cards in popular stores like Amazon, eBay etc. In this article, we have listed the best Shopify apps allow the store owners to sell such gift vouchers or cards on their Shopify store and boost sale through that. This app allow customers to send gift card to third-party recipient. The customer purchase gift card & before pressing add to cart button, they enter recipient’s email address, recipient name & custom message. Once they place an order, & store manager click order fulfill button from the backend, gift card emails get sent to the customer as well as the recipient. This way customer can gift a gift card. The app doesn’t create discount codes or coupon codes, so your shop will not get flooded with these codes. It sends actual Gift Cards. This app allows customers can send gift cards directly to the recipient. 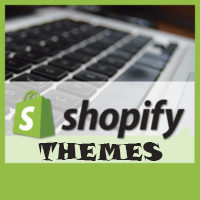 Your gift card purchaser receives the existing gift card notification email from Shopify. The purchaser can click a link to enter the recipient’s email address and select a date and time to deliver the gift card — any time in the next 365 days. The app’s system will automatically email the recipient a link to the gift card on the date and time selected. Shopkeeper Easy Gift Cards adds a single, simple form to your gift card product page that lets shoppers add a “from” name and personal note to gift cards purchased from your store. This app enables customers to send branded Gift Cards & Store Credit directly to recipients, attach animated & musical greetings, schedule Gift Cards. GiftWizard’s Gift Cards are delivered straight to the recipient by email, social networks, instant message platforms, or you can print them out and give them in person, further customizing the experience based on the recipient’s communication preferences.